I worry about my dogs’ immune systems. I don’t obsess, but I do worry. This is because I want Janice and Leroy to have long, happy, healthy lives. That’s why I make it a point to incorporate immune system boosters into their lives. So, what are the best immune system boosters for dogs? It seems like every day there are new articles that tell you about a new herb, a new chemical, or a new fruit, or something that’s so magical it’s going to be guaranteed to boost your immune system. The reality, though, is that there’s no magic bullet, and false promises can cause a lot more harm than good. However, there are immune system boosters for both humans and dogs, and most of them are simply sensible things that you can do every day. So how can you really boost your dog’s immune system? Here are 17 of the best ways. This is pretty obvious. Hygiene is important, and keeping your dog clean is one of the most important things you can do if you want to keep him healthy. Your dog is going to pick up germs; it’s a given. If he does, those germs could weaken his immune system, and of course, we know that cleanliness is the best defense against germs. Your dog’s feet bring in dirt; that’s also a given. He’s also going to bring in contaminants on his toys. So washing his feet and toys will go a long way toward helping your dog’s immune system. Germs and other contaminants can come in from other dogs – from the park, the pet store and other areas. I’m not saying that you shouldn’t take your dog to the park, just that you should know that you will bring in contaminants. So, we’re back to cleanliness again when taking your dog out and about. We know about the harm that stress can cause in humans, but often, we fail to realize that our dogs can be stressed, too. Good ways to avoid stress in dogs are to adopt a consistent routine, with regular walks, naps, and cuddle time. Also, observe your dog to see if his appetite has decreased or if he isn’t sleeping soundly. A stressed dog will typically display behaviors that are different from his usual behaviors. Even considering the contaminants that your dog can pick up at the dog park and in other social environments, I think that the benefits of socializing with other dogs and their humans far outweigh the dangers of dirt. So by all means, take your dog to the park. And when he’s home, don’t leave him alone in the yard; this will make him unhappy and unhappy dogs do not often have good immune systems. Simple socialization is one of the best immune system boosters for dogs. If your dog has regular checkups, your vet will be able to give you a good idea of how well his immune system is functioning. He or she can also offer suggestions regarding the best immune system boosters for dogs. Ideally, you should choose one vet, and stick with him or her. This is not just because it’s important to work with someone who knows your dog and your dog’s medical history; it’s also because bouncing around from one vet to another can be stressful for your dog. And of course, I’ve pointed out the fact that stress can be bad for the immune system. All dogs love to play, and playing is one of the best immune system boosters for dogs because it promotes circulation, as well as releasing stress. It’s also one of the best ways of ensuring that your dog gets the exercise he needs. If, for some reason, you’re not able to play with your dog (I was laid up for a bit with a broken ankle, as I mentioned in 19 Questions to Ask When Hiring a Dog Walker, so I wasn’t able to play with my dogs), see if you can recruit someone to do it for you. Neighborhood children are great for that purpose, assuming that your dog is kid-friendly. Obesity is no better for dogs than it is for humans. I hope that you don’t use your dog as a garbage disposal, giving him table scraps and trimmings from cooking because you can’t stand to throw anything away. I also hope that you don’t feed high-calorie treats if your dog is already battling the bulge. Fat dogs are prone to a lot of health conditions, including diabetes and heart disease. It also places a strain on their immune systems. So, one of the best immune system boosters for dogs is simply to keep him at a good weight. This means ensuring that your dog gets the right amount of protein, fats, carbohydrates, vitamins, and minerals every day. Usually, you can achieve this simply by feeding a quality commercial dog food. I know, though, that some people prefer to make their dog’s food. If you go this route, you should consult your vet before proceeding. Of course, I assume that you will do some research on your own, but your vet is your best source of information when it comes to feeding your dog a healthy diet. I love sushi, and I love steak tartare. I also frequently toss a raw egg into a smoothie. I know the risks; I understand that raw meat and eggs can be contaminated, and that if I wanted to be truly safe, I’d cook them. The thing is, I make my decisions knowing that there might be a small risk on occasions when my taste buds want to overrule my tendency toward caution. I don’t do that with my dogs, though. There’s no evidence to suggest that raw food delivers so much pleasure to a dog’s palate that it would make him much, much happier than cooked food. So, why take chances with your dog’s immune system? Fresh berries, green beans and most dried beans are rich in antioxidants, which are great immune system boosters for dogs. Antioxidants are believed to guard against serious diseases, and even to slow down the natural process of aging. Feed small quantities – about half a cup per day – to improve your dog’s immune system. Proper hydration is essential to a healthy immune system, so make sure that your dog’s water bowl is always full of clean water. Water flushes out the body, getting rid of pathogens and toxins. And if your tap water is less than outstanding, there’s no reason why your dog can’t share your bottled water. Your vet almost certainly insists on regular worming, and with good reason. There are parasites everywhere, and given a dog’s propensity to try to eat anything and everything, it’s very easy for him to become infected. If he’s constantly trying to fight off an infestation, his immune system will suffer. Your dentist tells you that regular brushing is the best defense against harmful bacteria that can cause gum disease. This applies to your dog, as well. Regularly brushing your dog’s teeth will go a long way toward fighting bacteria that can suppress his immune system. If your dog is very resistant to having his teeth brushed, give him plenty of chewy snacks and toys that will keep his mouth clean, at least to some degree. I know how hard it is to be firm when you’re being gazed at with those soft, brown eyes. And, of course, dogs are notorious for begging for treats. The thing is, though, a lot of the things dogs really love just aren’t good for them, so resist the temptation to share your candy and other human treats; they can cause all manner of harm, including diabetes, pancreatitis and liver disease. So stick to your guns, and keep your human treats for yourself. Soon enough, your dog will get the idea that it’s not going to matter how long he holds that pleading stare; you’re not going to give in. Of course, you do this anyway, right? But you might not know how beneficial it actually is. Petting, snuggling, and even the “baby talk” you bestow upon your dog all work to release oxytocin, the “feel good” hormone. 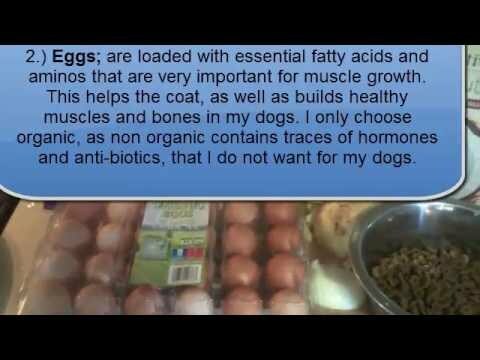 This is great for your dog’s mood, and also a terrific immune system booster for dogs. Not only does it produce “happy” feelings, it also lowers cortisol, which is a “stress” hormone that can suppress the immune system. Dogs, like humans, enjoy better health when their immune systems are operating at peak efficiency. As I’ve said, there’s no magical solution, and a lot of the ideas you encounter on television, in magazines, or on social media sites for boosting the immune system are bunk, plain and simple. The above suggestions, though, are based on common sense, and are great immune system boosters for dogs, so try several, or try them all. None will cause any harm, and most will actually do a great deal of good.